A little Wayne's World reference for you on this Wednesday! Anyways, I apologize for the lack in posting recently. I have been battling a bit of a cold, so took last week off and am just now getting back into the swing of things. I hope you all are staying healthy as this weather keeps switching from beautiful to frigid (can you believe it snowed last week?) and back again! 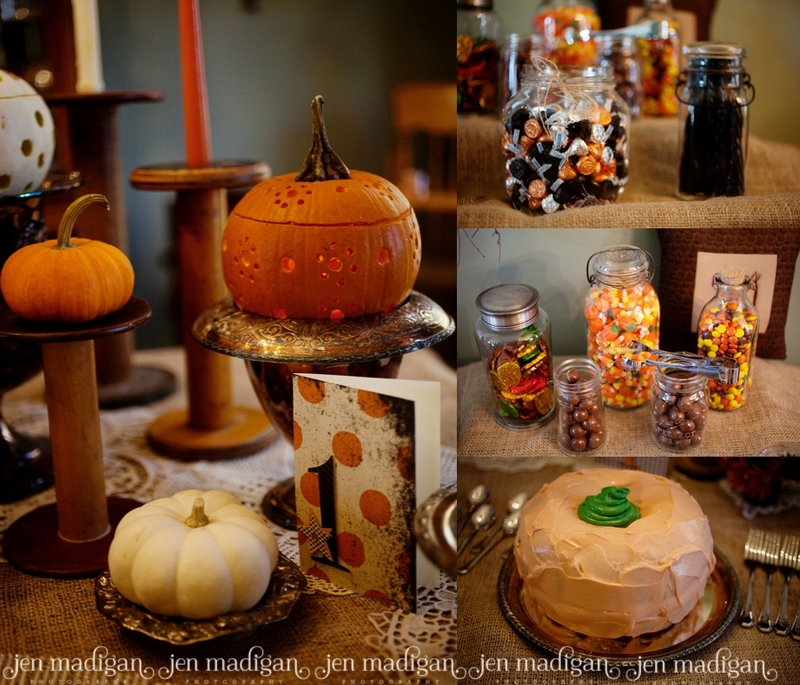 I took these photos at Myelle's 1st birthday party the last weekend in October. Lindsay (her mom) and I became good friends after we met when I did Myelle's 6 month session back in the spring. I was invited as a guest to the party, and brought along my camera to take a few snapshots. 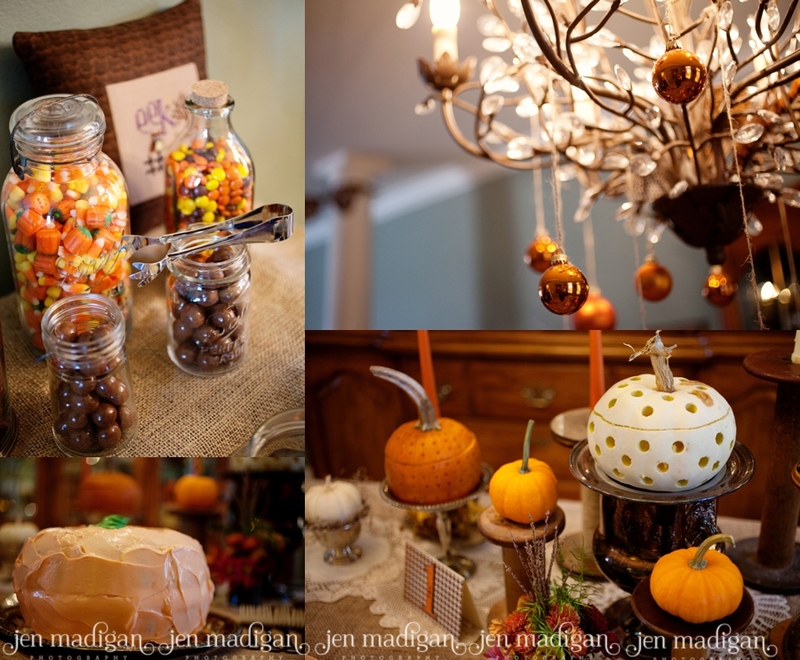 I mainly wanted to share the decor photos, as Lindsay and her mom Marita are pretty much AMAZING. I wish they would plan parties for me! 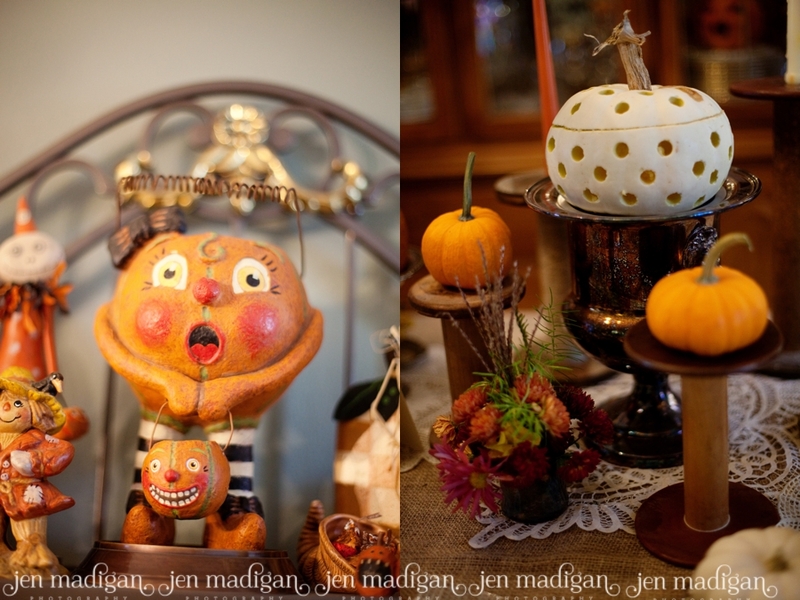 :) All of the Halloween decorations were so cute, classy, and perfect for the occasion. 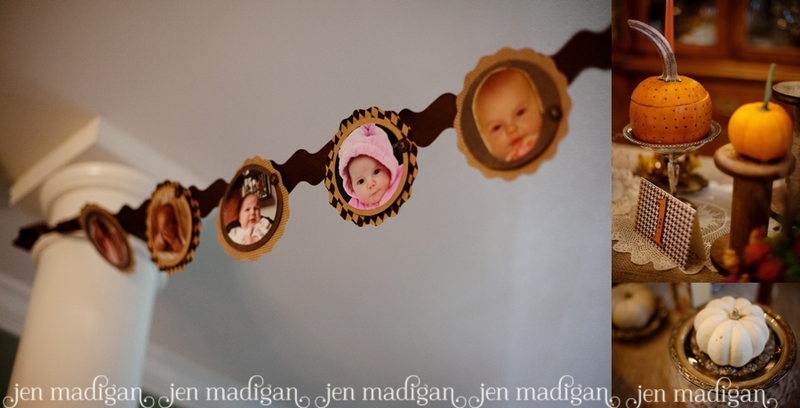 I especially love the little banner that Lindsay made, featuring a photo from each month of Myelle's first year of life.